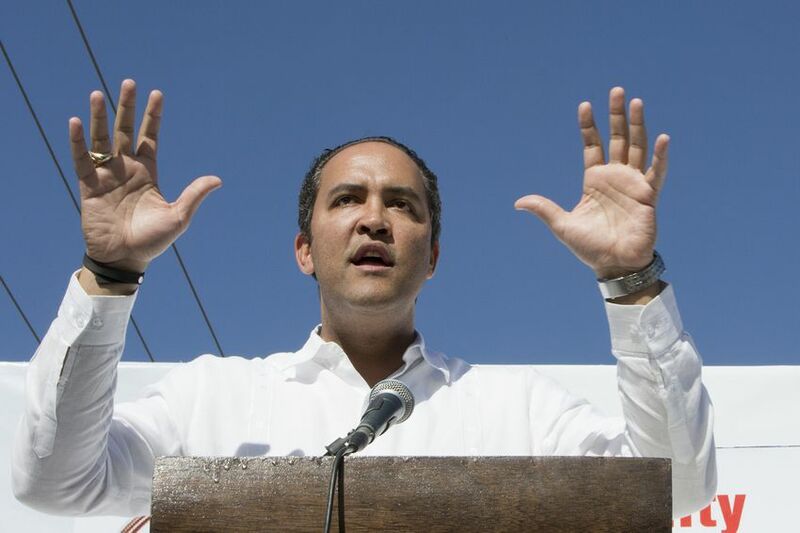 Two more prominent Democrats are joining the race to challenge U.S Rep. Will Hurd, whose sprawling 23rd Congressional district runs across much of the Texas border. The race for Texas’ most competitive congressional district is drawing two more Democrats. Jay Hulings, a former federal prosecutor from San Antonio, said Sunday he could no wait no longer to launch a challenge to U.S. Rep. Will Hurd, R-Helotes. Hulings is an ally of the Castro brothers — U.S. Rep. Joaquin Castro, D-San Antonio, and former U.S. Housing Secretary Julián Castro. In an interview, Treviño promised to run a campaign firmly focused on ideas such as “Medicare-for-All” — referring to a single-payer health care system — and a living wage tied to inflation. After the announcements by Hulings and Treviño, Gallego’s team suggested he’s not in a rush to reach a decision on the race, which would be his third match against Hurd. Hurd unseated Gallego in 2014, and Gallego unsuccessfully ran to reclaim the seat in 2016. The decisions by Hulings and Treviño to enter the race come days come days after a federal court redistricting ruling that left Hurd’s 23rd District untouched while invalidating two other districts. Yet the shape of the 23rd district could still be affected, as it shares a border in the San Antonio area with the 35th district, one of the two that are now set to be redrawn. Hurd’s campaign responded Sunday to the two new challengers by raising the possibility of a bruising Democratic primary that hurts the party’s overall chances of reclaiming the 23rd District.